Death is something most people deal with on rare occasions, therefore when someone close to you passes away, you may experience uncertainty about the proper actions to take. While all families deal with grief differently, there are a few things you can do to alleviate their stresses. Below are common practices that occur after the death of someone. We have provided some common questions and suggestions to make this time a bit easier on both you and the family of the deceased. Visiting the home is an appropriate thing to do when someone passes away. Past traditions have included providing food, childcare or even running errands which can all be extremely helpful to the family. Try to avoid early morning and late evening visits, as well as a few hours prior to any funeral ceremonies. Fifteen minutes is a good time frame to visit. Anything more can be a bit overwhelming. Anyone can visit the home, but if you are a distant friend the visitation/wake at the funeral home may provide a more comfortable setting. 3. Should I take food to the family's home? Food has been a tradition with funeral ceremonies for decades. Providing a meal for the family is a wonderful gesture and time saver. Meals that are easy to transport for you and easy to reheat are the best ideas. 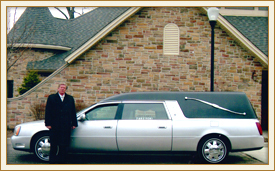 Before taking food to a funeral home, it is best to call the funeral home first to see what are their food policies. Many funeral homes have local guidelines of what type of refreshments they are allowed to serve. The visitation/wake is the setting for the community of friends to gather and express their condolences. Whether the traditional wake with a family line or the “mingling” visitation, many people ask the same questions. Sometimes the less said the better. Telling the family how much you respected or cared about their loved one, sharing fond memories, or just expressing your deepest sympathy is often enough. Avoid phrases that may be well intended, but that can be misinterpreted, such as, “They are better off now.”, “I’ve been through this too. In time you will be fine.”, or “Time will heal all.” It is oftentimes more appropriate to avoid discussing the cause or manner of death. And remember, just being present shows that you care and is often more substantial than words. The wake is not as formal as the funeral. A more laid back style is often appropriate. For men, anything from a suit to khakis and a golf shirt is common. For women, dresses or dress pants are often worn. Shorts, baseball caps, gym shoes or flip flops are typically not appropriate. The funeral is a more formal affair than the visitation. It is more structured and ceremonial than the visitation. Below are a few common questions many people ask. It is a good idea to arrive at least 20 minutes prior to service time. This gives you time to find parking, as well as seating. Attire for a funeral is a bit more formal than the wake. Men often wear suits or dress pants and a tie. Women wear suits, dresses, or dress pants. If one chooses to attend the funeral service and will be following the funeral procession it is very important you follow instructions given by the funeral home staff members. When part of a procession, you will have the appropriate funeral stickers affixed to your car windows and your lights and emergency hazards will be turned on for additional identification. Pay attention and be careful, not everyone on the roads may recognize a procession.